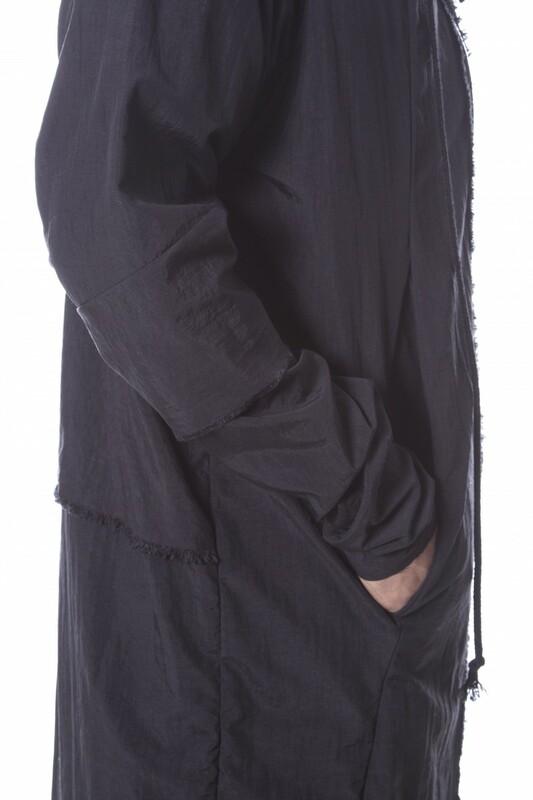 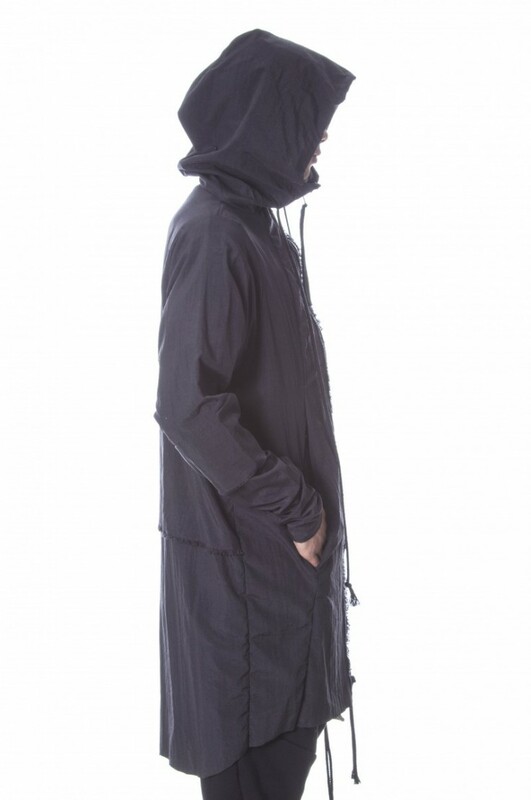 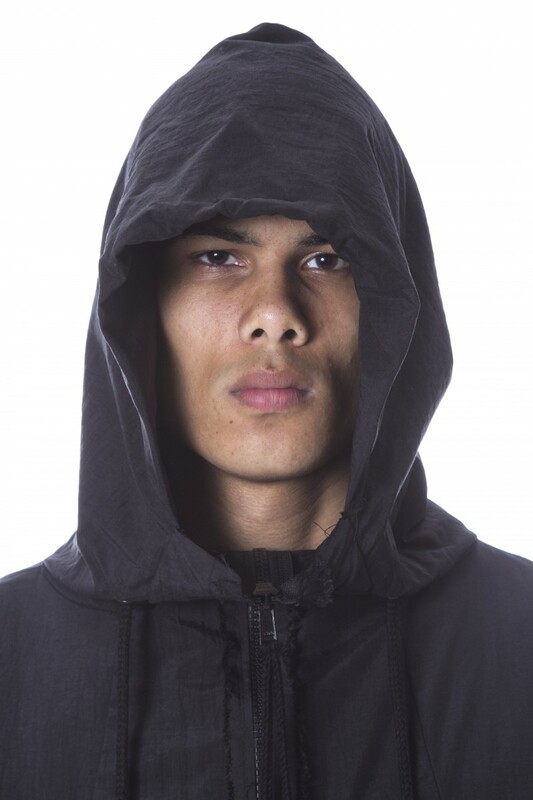 Black long hooded jacket made from high quality 100% crushed nylon with 2 front pockets. 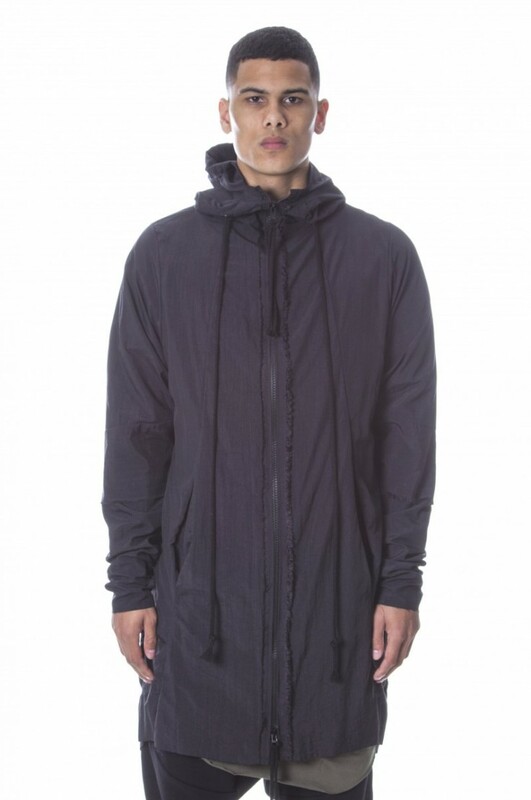 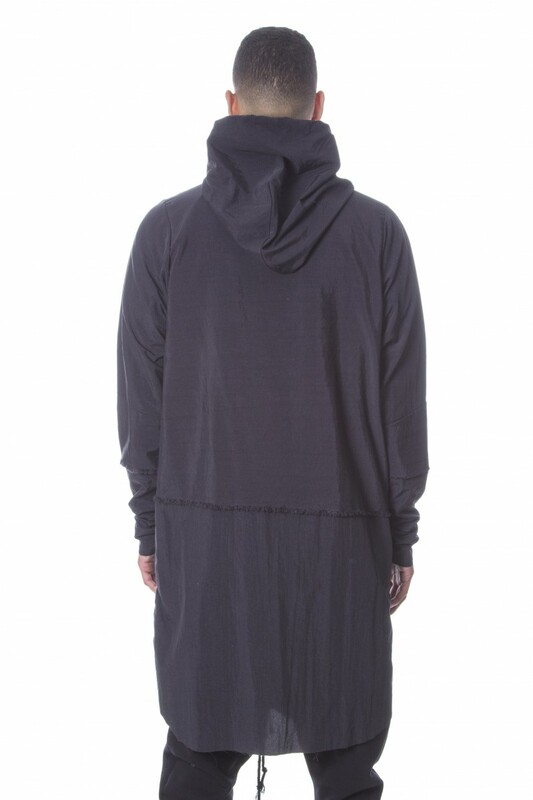 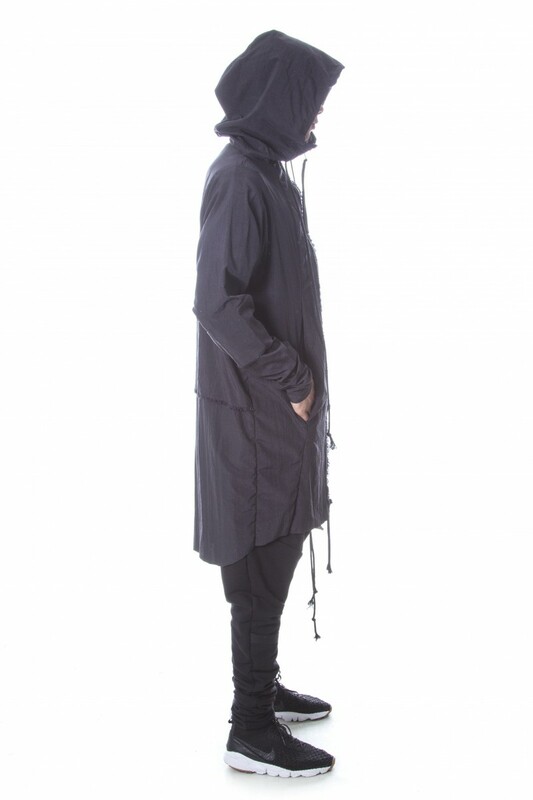 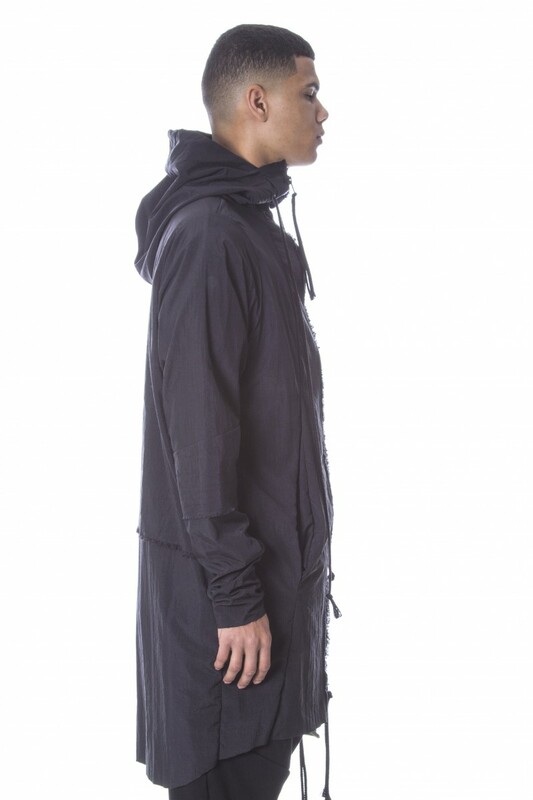 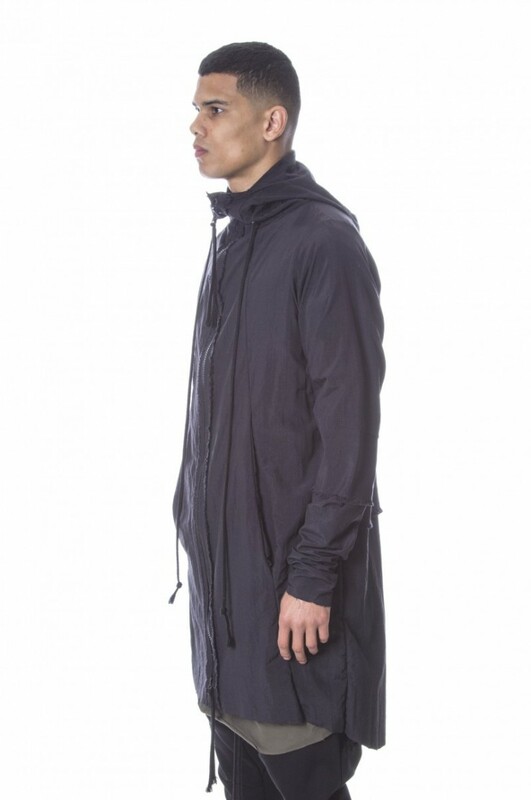 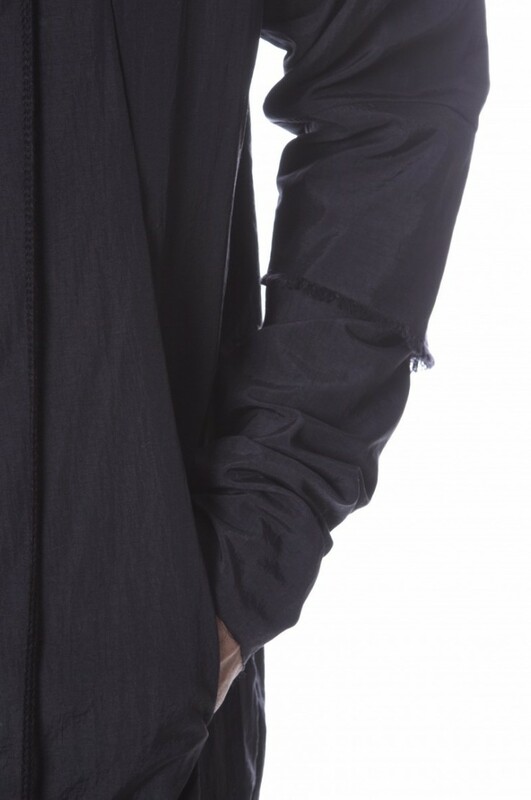 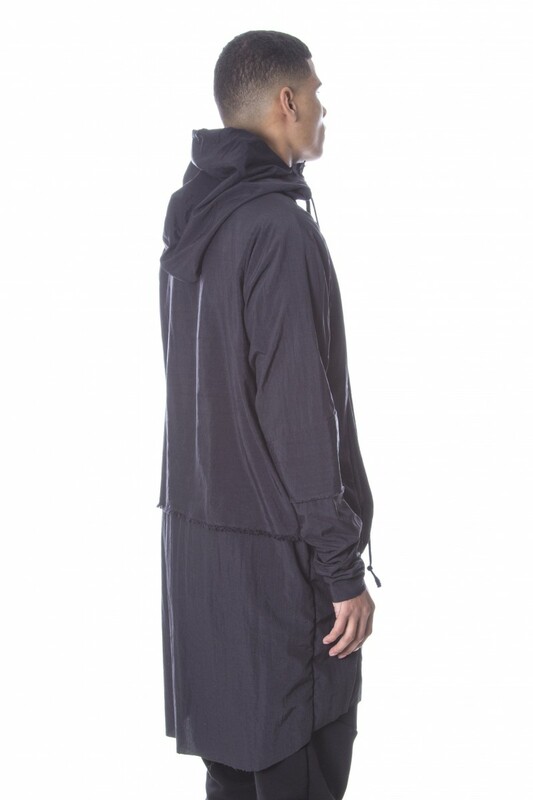 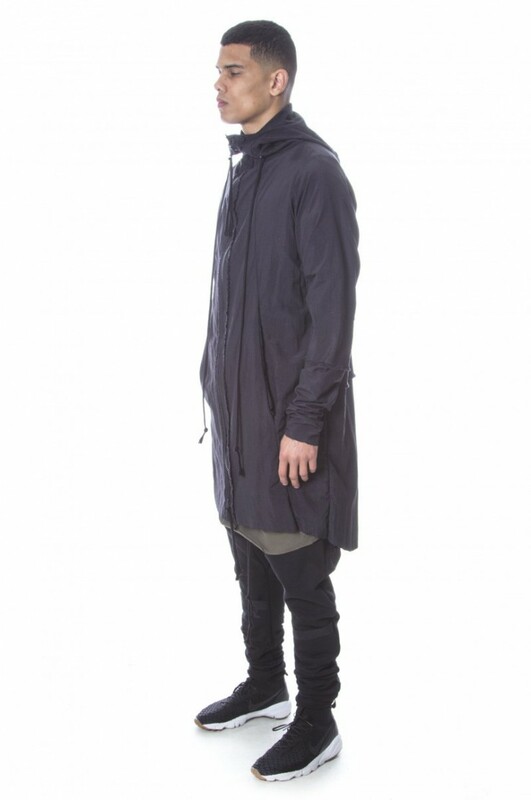 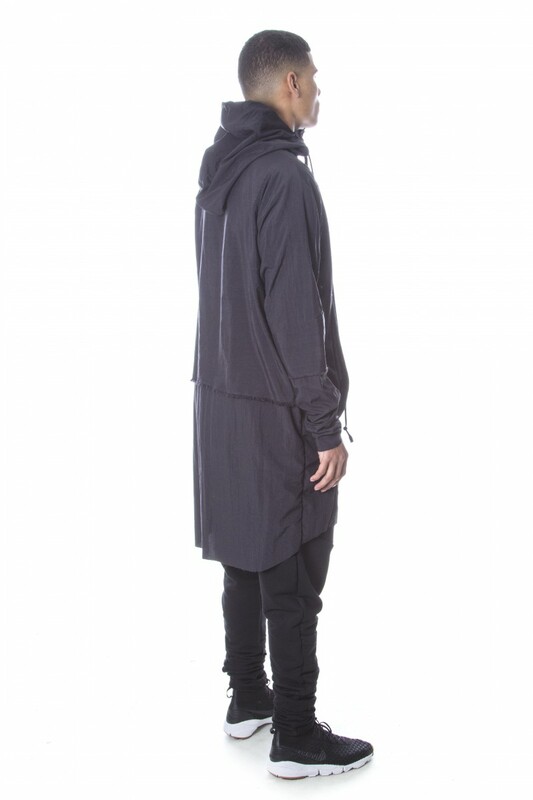 It is a long and loose fit with raw edges and a large oversized 2 way YKK zip. Model is 6ft and wearing a size 2.